Hello Darlings..How’s your week going? My week has been amazing and I really can’t wait for the weekend so I can rest well. I know many of you might be surprised that i’m already compiling a list of things to do before I turn 25?! It’s actually so weird and doesn’t look real that I’ll be 25 next year?! Like what!!!! Please I want to be a baby again Lol. I decided to take time and pen down what’s on my bucket list because writing your vision, goals and aspirations would motivate you to achieve them without procrastination. To my greatest surprise I got so excited and as Nigerians would say “I became gingered” to tick off everything on the list before July 8 next year by God’s grace. Complete the book I’m writing: I really don’t want to say so much about this yet but just know your girl has been taking time to write her book and hopefully I find the strength to complete it. Visit Another African country: I really cannot wait to travel to another African country and just be free from Nigeria especially Lagos stress and traffic. Benin republic, Ghana, Tanzania are top on my list. Travel by air: Although I’m scared of heights, There hasn’t been any reason for me to travel by air. I have spent most of my years In Lagos. Hopefully I tick it off the list and don’t disgrace myself in the plane. Anyone remember how jenifa kept on screaming when it was her first time traveling by air Lol. Volunteer: I cannot wait to actively volunteer. It would be a great feeling. Go on a road trip and visit atleast 5 or more states in Nigeria: Imagine living in Nigeria and not exploring the country. I intend to explore more states and learn about their culture and tradition. Host a pop up sale/ fashion event: This has been on my mind for a long time and if you follow me on twitter I’ve tweeted about it so many times and I really cannot wait for that day. Hopefully you guys would come and turn up with your girl. Attend more concerts and comedy shows: I attended Mr Eazi’s concert in December and that was like the first major show I’ve attended. It was really fun and I intend to attend more. Be a better Christian: I’m thankful for growth and how I’ve been surrounded recently by amazing young people that are willing to know God better. I intend to join a unit in church and be very active too. 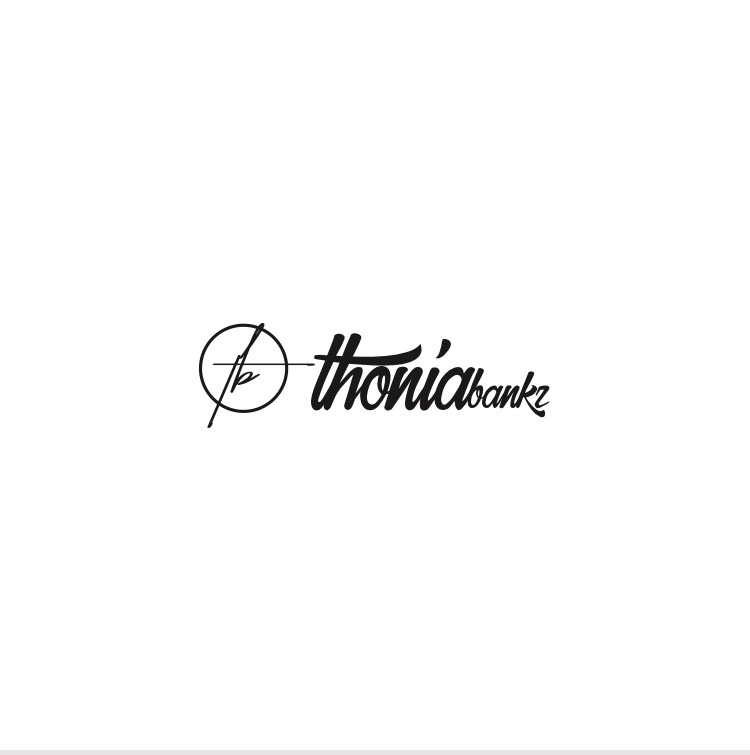 Build Thoniabankz brand: I want to be able to build my brand to an extent of earning a living from it. I thank God for baby steps and how it’s been amazing. I know with God and hardwork everything would be fine. Donate to charity: Its been on my bucket list to do this for a long time but one way or the other I end up not doing anything. Please hola if you run a charity organization and need help in any way, I’ll be sure to involve myself and help in anyway I can. Improve on my photography: I’m thankful for Lucas (my camera). I just haven’t taken time to study a lot when it comes to handling the camera and learning other things that come with photography. Resume the fit fam life: I was so serious with eating right and going to the gym last year during my annual leave but as soon as I resumed work I went back to my old ways of eating pizza and sharwama. I want to eat healthy and be able to exercise. Learn how to drive: I’ve never been soo motivated to learn how to drive but I right now I want to be able to sneak out with my sisters car and cruise around town (Just kidding). I really want to learn how to drive. Do something major for my mum and siblings: I planned to get my mum a phone for her birthday but so much expenses came up and I ended up buying her cake and some other little things. She and my siblings have been soo supportive and I really want to show my appreciation in a good way. Collaborate with brands and bloggers: more collaborations with brands, bloggers and just doing great things to inspire young women. Host a birthday party: I think the last time I had a major party on my birthday was my 10th birthday or so, I can’t really remember. So planning and hosting my friends would be a great idea. Be more Adventurous: leave my comfort zone and visit new places, try out new things.YOLO! Weekend getaway at the beach: I’ve always imagined what it’s like to stay in an apartment surrounded by water or a room at the beach. It would be really beautiful and peaceful and just seeing the water from the balcony would be amazinggg! Read more books and take online courses: I would love to take courses in fashion styling and entrepreneurship, read more educative books. Do something fun with my hair: Work has restricted me in so many ways. The only acceptable color is black in my office and some hair styles are not compliant so maybe when I’m on my annual leave I’ll do something fun with my hair. Try new hairstyles , dye my hair and do anything fun. Have an account balance that would match my lifestyle: “Thirty billion for the account oh” In Davido’s voice, So I intend to save money wisely, take my business seriously and involve myself in other projects that would yield income. Also, Hopefully I get paid for whatever services i’m rendering with regards to blogging and styling. Wear a Bikini: Its actually funny that I don’t own a bikini and I’ve never worn one because I’m scared that my body isn’t in the right position to be wearing one. I love myself and I’m learning to love my body and so I hope to face my fears and wear a Bikini someday on the beach and be free and happy. Visit the spa: I can imagine what it’s like to visit the spa and pamper myself for a day. I really can’t wait to do this. Go live on radio or television: Let me tell you a secret, I’ve always wanted to be an OAP or better still I intend to still have my show on radio or television and I wouldn’t lie the “ginger” isn’t there anymore like it was years back but it wouldn’t be a bad idea to atleast get interviewed or co host a show for a day. It would be a great feeling! In this post I’m wearing a floral dress from desire1709fashion. You all know how I love my florals and when I found out I was wearing this floral dress I got excited. I got to collaborate with Tonye Igbani who is a fashion and lifestyle blogger. She’s also a brand ambassador of desire1709fashion and it was a fun shoot as we were happy and enjoying the moment. I hope I’ve inspired you to take time to draft what you want to achieve before next year or before you turn a certain age?! Don’t be scared of taking risks and living your life. Life is short to not have fun. Have you done anything off my list? How was it? Kindly drop your comments in the comment section. Also tag or share links with me when you compile things to do on your bucket list. I’ll love to read and drop my comments. Have an amazing weekend and remember God loves you! You’ll tick off all the things on this list in no time! You can plan your weekends around this list, it’ll be so much fun. You could check out Irinajo_ng, they had an amazing night at the beach last month. These are all amazing things!! I also want a girls trip but just like u all my friends are scattered upandan… Im currently taking an online fashion course and you get a certificate after you’re done and plus it’s free, remind me to msg you the deets if I forget lol. My birthday is next week and I still don’t have any plans *cries* I love birthday parties but my current akkant balance is not looking like tarty billion so I’m sleep lmao.. I hope you tick everything off soon. Big yes to travelling and the birthday party. I’m so onboard, in fact I have a dress I will wear to that party already. Thanks dear. Please tag me in your post and pictures when you explore! Great list, I turn 25 next month and I’m actually planning to do a lot of things listen on your list. The dress looks stunning on you btw!